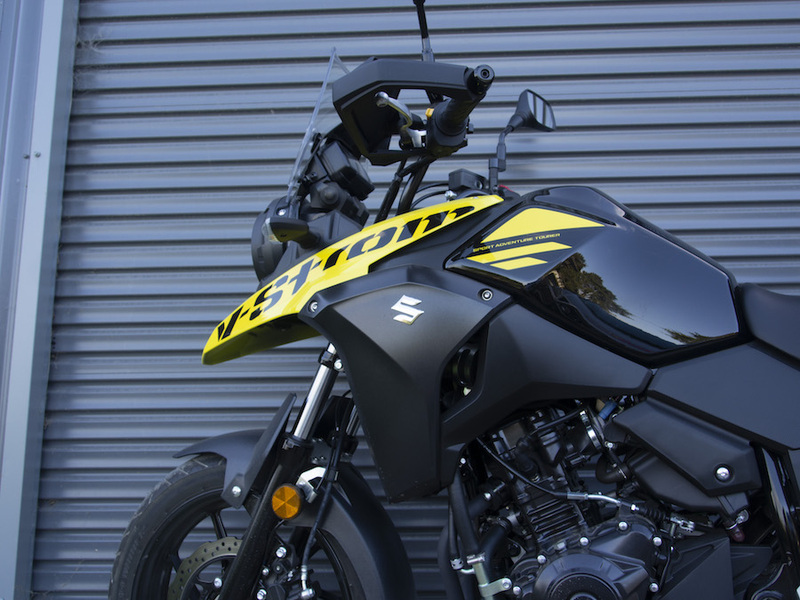 Boldly emblazoned on Suzuki’s 250cc V-Strom’s tank are the words Sport Adventure Tourer. Hang on, can a 250cc machine really be capable in an adventurous, sporty and touring capacity? A pretty bold claim for a bike you can ride away on for a smidgen over $7K, but add to that its dual seat, pillion foot pegs, side panniers and a top box. That’s a hell of a statement right there. 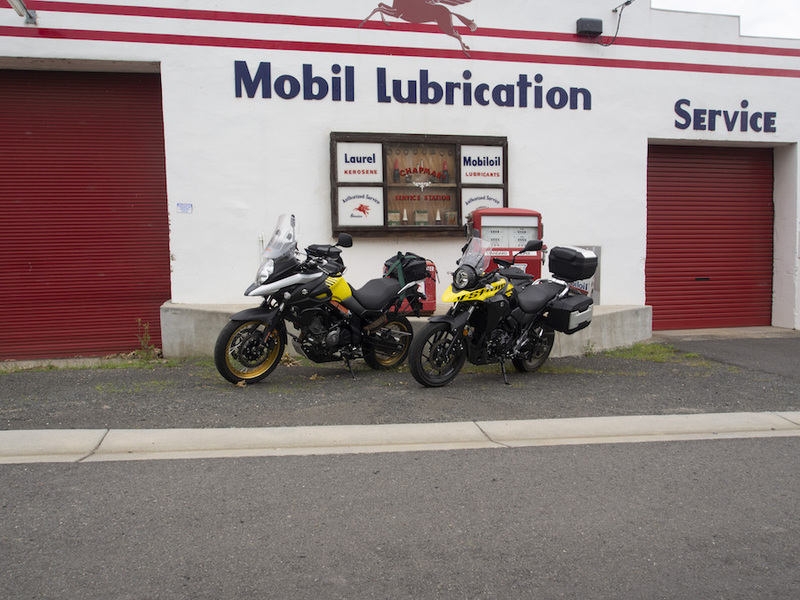 “Our target market is commuters, female riders, often partners of V-Strom 650 and V-Strom 1000 owners,” Suzuki told me, myself a V-Strom 650 XT owner. It was pretty clear what I had to do to see if the 250cc ’Strom could put its money where it mouth is; grab the 650, throw my wife – who’s an experienced rider – the keys to 250, chuck some kit in the boxes and bugger off for a night. Mr and Mrs Target Market, or what? The V-Strom first appeared in 2002 and despite its awfully bland styling, its lively TL-based 1000cc V-twin packaged into a practical, if non-nondescript, motorcycle earned it plenty of fans. 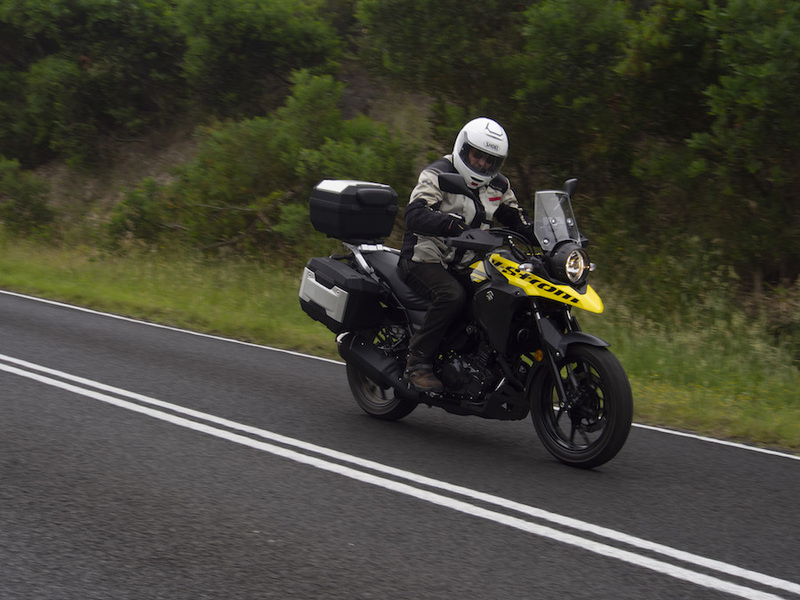 Despite having a profile only a parent could love, the introduction of the DL650 two years later set new standards for useability and longevity and in the 15 years which has followed, the V-Strom moniker has carved a can-do legacy and a strong following as a result. The 2019 250 edition is unmistakably a V-Strom. Its upright, adventure-esque stance, distinctive profile and, oh yeah, the name is splashed across its yellow beak. Compared to its larger-capacity siblings, the all-black engine bay looks uncluttered. 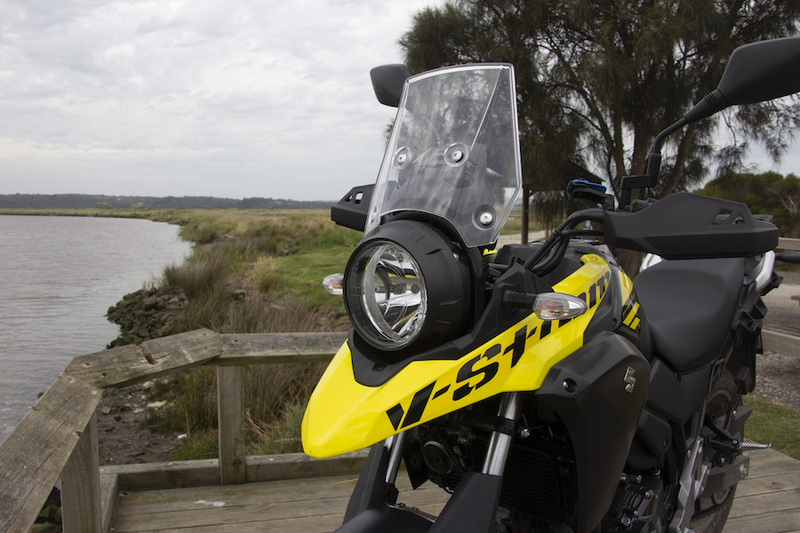 The latest addition to the family, the 650 and 1000cc versions’ integrated headlight styling has been replaced by a single round unit which gives a rugged utilitarian look which reminds me of the hard-anodized bezel of a flashlight. 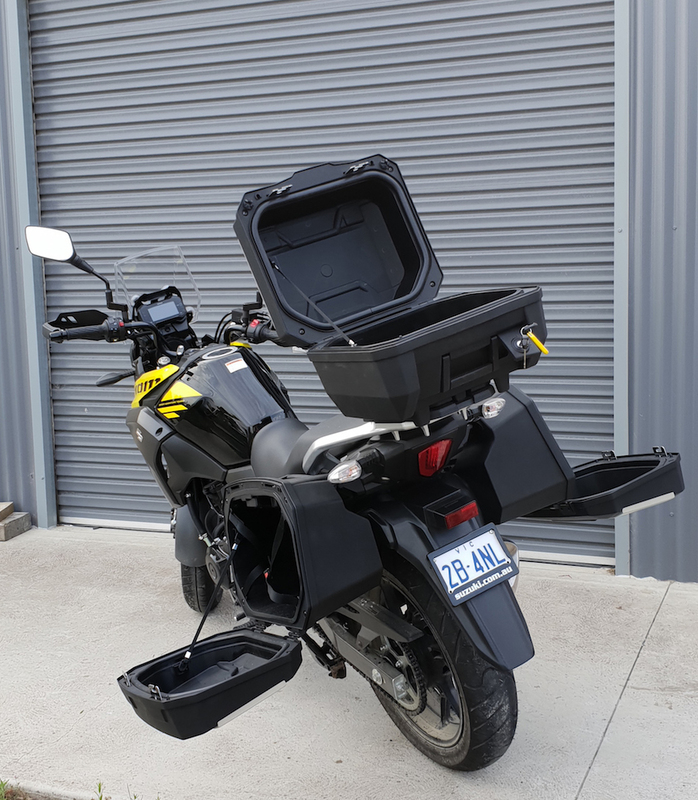 The test bike was fitted with a swag of optional accessories for our jaunt with a pair of 20-litre side cases ($659), a 23-litre top case ($339), a centrestand ($164.95) and the mirror-extension kit ($139) which still leaves you change from $8500 ride away. A map of Victoria’s Southern Gippsland region was pinned to the dart board and a motel chosen without too much thought – it’s that sort of a place to ride. I have my favourite roads but there are always new ones to find. Nowhere is too far from anywhere else, there aren’t many straight roads and the views are stunning. Oh, and the booze, food and coffee is top notch, too. Suzuki have fettled the fuel-injected, liquid-cooled 248cc parallel-twin motor (yes, it really should be called the P-Strom) to extract maximum low and mid-range torque. With an optimised cam profile, it set out to give the rider practical performance between 20km/h to 90km/h. That cam profile is also designed to suppress noise and deliver a smooth ride. And while all of these things are achieved, the difference in grunt hopping off the 650 and onto the 250 is in yer face. But settle in, get expectations lined up with reality, and…. what a little ripper! It accelerates as fast, if not faster, than most cars. It can be whizzed through the super-slick six-speed gear box to a healthy highway speed, and the same goes if you’re two up. Ease the pressure off the cable operated clutch (no need to completely engage it) and snick a very quick up-change to keep the forward momentum. The engine really is the big story for me, we often read the claims made by manufacturers with a cynical eye to cut through the marketing speak. The little engine will pull from 60 to 120 klicks in top gear with pleasing acceleration – it’s really quite remarkable just how spot-on the Suzuki got the usability recipe. My concern with small bikes is often around maintaining a highway speed to avoid being monstered by other traffic. I’m not sure I’d like to mix it with road trains in the Northern Territory but after more than 300 kays around the Gippsland Coast I reckon it can cut it. And that’s the capable tourer box ticked. As you would expect on every modern Japanese motorcycle, the brakes are appropriately matched to the bike. Up front, a single 290mm wave disc gets dragged at by a twin-piston caliper., while the blunt end has a 240mm disc with a single pot caliper. Bosch gets the guernsey for ABS duties and, just like on the rest of the V-Strom range, it’s non-switchable and always at the ready. Too ready, at times. I found the system to be slightly primitive in its feel and application, a brief sojourn into sand left the system crudely cutting in and out as it tried to keep up with the conditions. According to the specs sheets, the theoretical fuel range from the 17.5-litre tank is 553km. But out there on the roads, not on rollers in the Suzuki lab, the throttle cable gets a fair stretching which reduces the real-world reliable range to around high three hundreds – which is where a bike like should be. Lots of the current crop on offer’s fuel tanks are limited to café hopping anyway, and in this case, my other half wasn’t wanting to push on. One reason is the seat, it’s narrow and sharp edged, certainly not up to the V-Strom luxury standard I’m used to. To be fair it’s not trailbike bad, just not what V-Strom-branded machines are renown for. But the rest of the ergos were well laid out, a very upright riding posture and the bar’s will fall into the hands of all but the tallest riders. Tall riders will also feel like their knees are under their chin but it’s highly unlikely tallies will choose this bike anyway. I’m curious to know why 17-inch cast wheels were chosen both ends and I suspect the decision was motivated by achieving an accessible seat height. Again, like the road-going panniers, it’s a case of form over function. It might hint at adventure riding with its beak and family resemblance, but without at least a 19-inch front wheel, the majority of those adventures will be need to be road based. I had a couple of front-end slides on gravel roads in a bid to test its adventure credentials and put the wind up myself a couple of times. Not that it was fussed by plain ‘garden variety’ dirt roads, it just wasn’t keen on playtime. 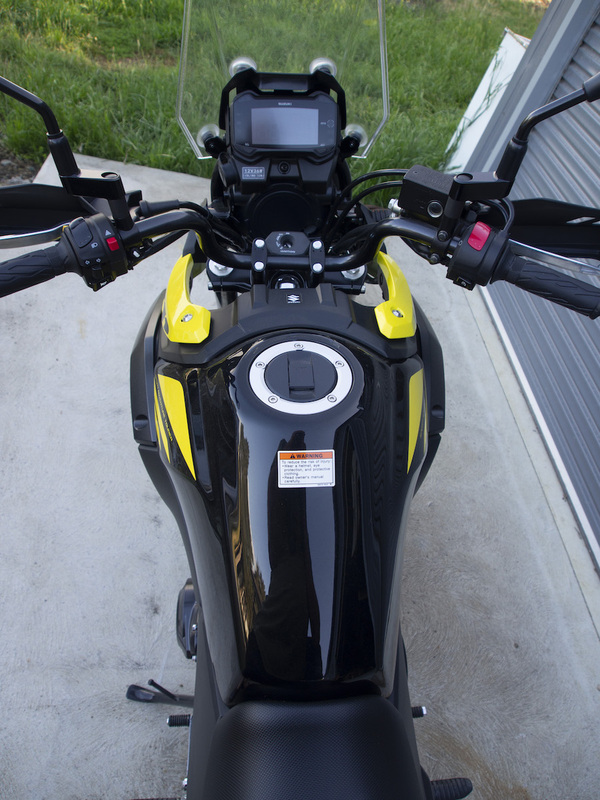 The ergonomics do allow for standing on the ’pegs, at least, but in true V-Strom form the oil filter is right at the front of the engine but is protected by a steel guard. Back out on the road, the 188kg (wet) bike was ridiculously manoeuvrable and 800mm seat height thoroughly reassuring. Keep the motor on the boil and a respectable clip can be maintained through the tight and twisty stuff. The standard-issue IRC tyres never left me wondering on the sealed roads, it confidently goes where it’s pointed, but the front suspension got a little tangled up at silly lean angles over the roughest of roads. Yep, it’s partial to some sporty and spirited riding, so I guess that’s a big green tick for the sport box, too. The spade-style windscreen works okay, dash is pretty easy to read and understand and there’s a handy little verandah over the top which helps with sun glare. The accessory centrestand lifts the bike a bit higher than it probably needs to be, which meant Janette needed a hand stabling the bike while she rocked it off the stand if she was sitting on it. Away from Freeways there’s no doubt that the Baby ’Strom stands up to scrutiny. 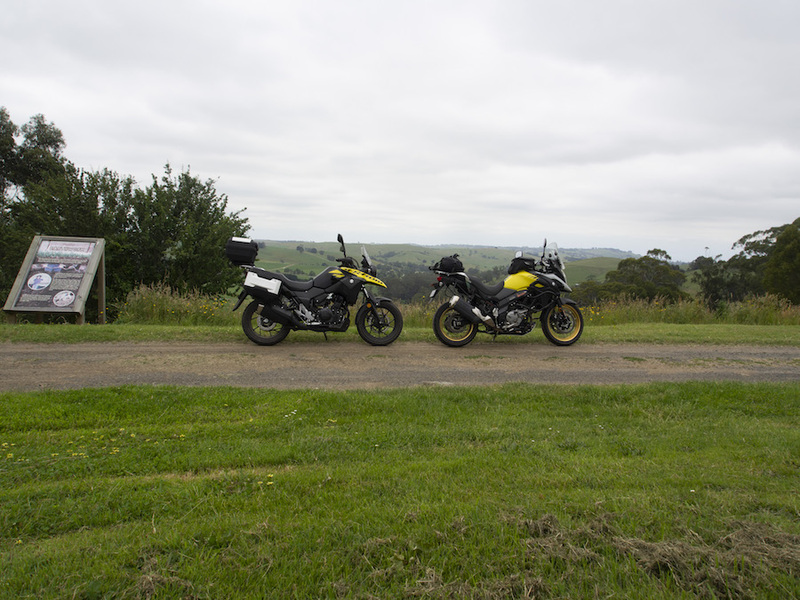 Our two-day ride through Gippsland’s back roads, good gravel and rural highways were pleasant. The would-be V-Strom 250 owner would be able to tour to their heart’s content. They’d keep up in the cut and thrust of 110km/h freeways, as well as efficient city commuting with the bags removed. We found it a pleasant change to ride at more relaxed pace but it required the amazing little motor and that silky gearbox to spin it along quite respectably. A lot more riders ought to spend a bit of time on lightweight, lower-powered bikes. I reckon it helps rekindle some of the spirit of what motorcycling is about. Has Suzuki pulled it off? 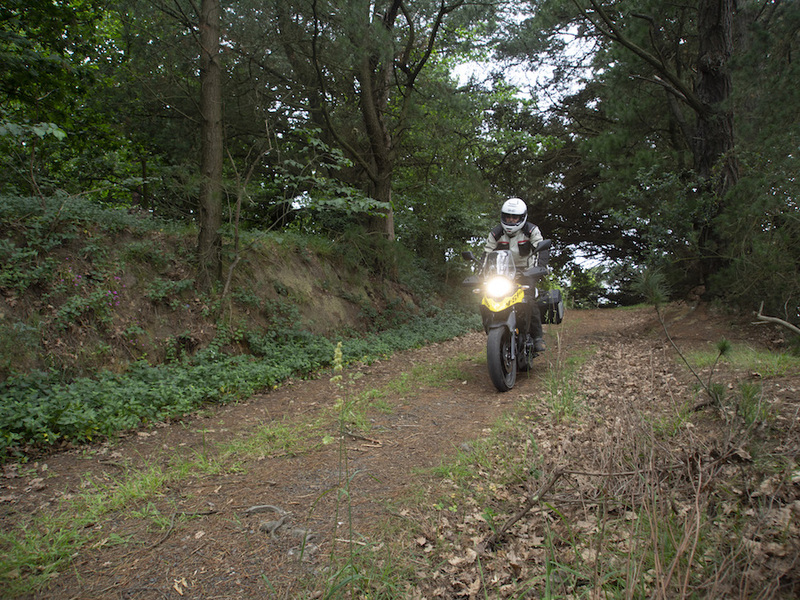 If the adventure riding is kept to well maintained gravel roads, then yes, it has. If you’re after a light weight, easy-to-ride bike with a little adventure, a splash of sport, a decent dollop of touring and all topped with a generous sprinkling of smiles, then this might be just the ’Strom for you. But be warned, the owner of the bigger ’Strom sitting in your mirrors might just knock it off to ride to work occasionally… just for the fun of it.